Blog: Shush! It's a secret!! - Hello You! Blog: Shush! It's a secret!! You want to keep certain articles secret. You want only your friends to be able to read them. No problem, that's why we have the SECRET ARTICLE feature! 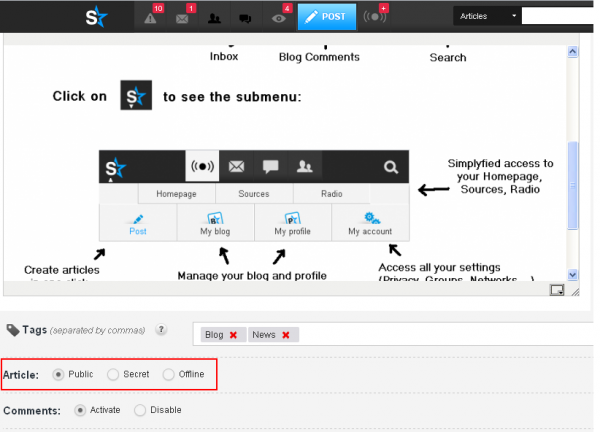 Click on public and choose "Secret". To make your article public again, just choose "Public" again! 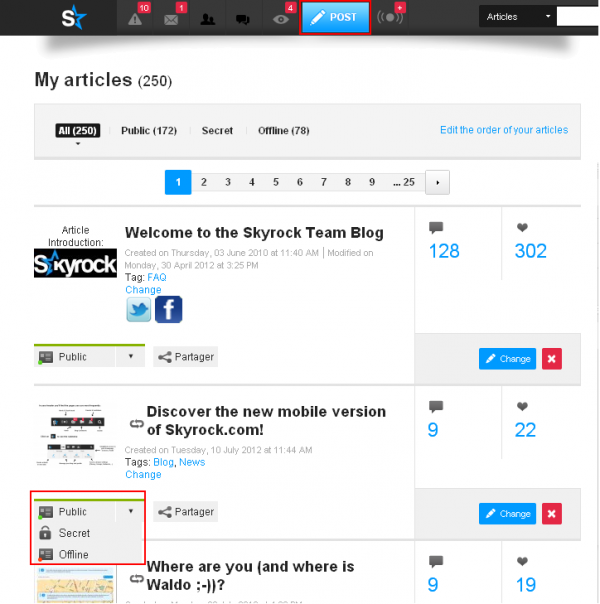 Edit your article, scroll down to the end of the article and just click on "Secret". You want your article to be public again? Just click on "Public". 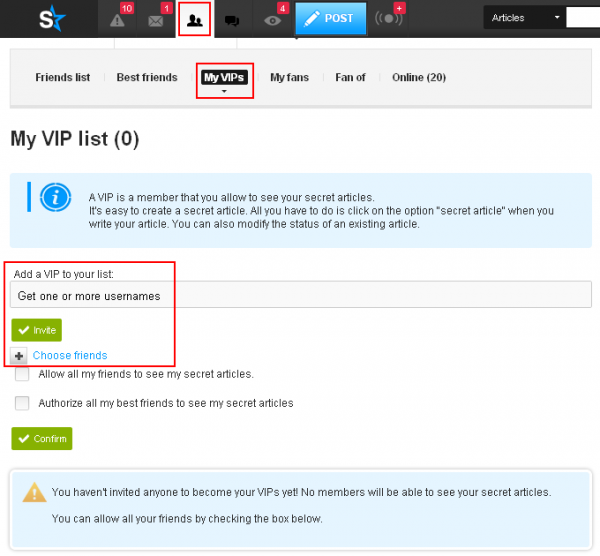 Go to "My friends" and click on "My VIPs". To add VIP's type in your friends names and click on "Invite" or simply use "Choose friends" and pick everyone you want to add to you VIP's. Go on your friend's blog and click on "Become a VIP"!